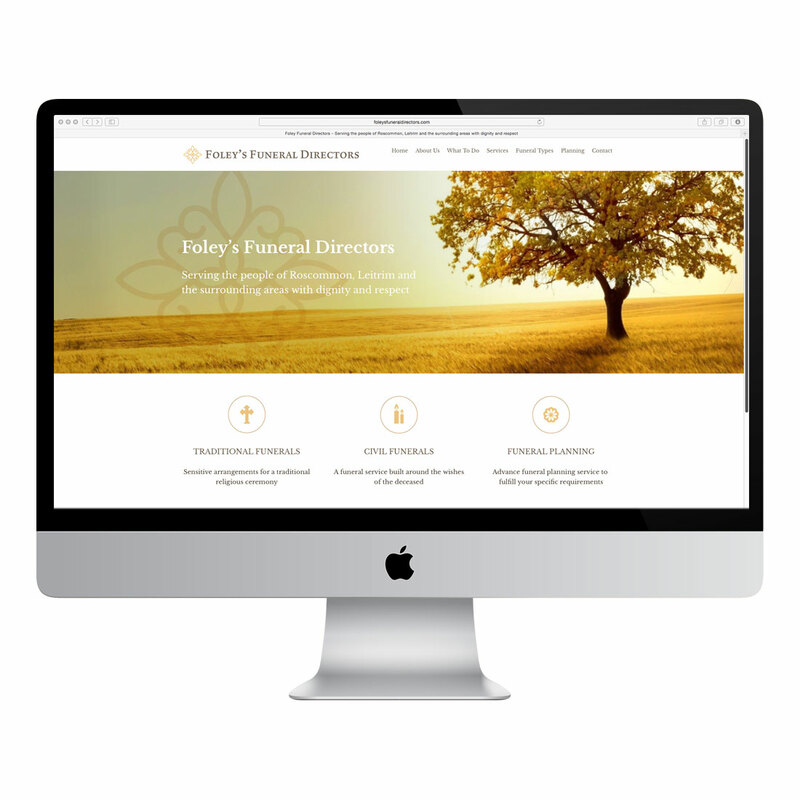 A family-run business based in Carrick-on-Shannon, Foley’s Funeral Directors asked Swift to create a sensitive, user-friendly website which would act as an information source for their clients, during very challenging personal times. An important feature is the page about ‘What to do when a loved one passes’ as the funeral process can be bewildering for those facing an unexpected loss and Foley’s are there to help their clients every step of the way. The site design features a warm colour palette and peaceful natural imagery.